One thing we are doing more of in our homeschool is exploring interest-led learning. Elliott is really intrigued by geography right now, so when I had the opportunity to review a book series that introduces world geography to children in a fun and engaging way, I jumped at the chance! 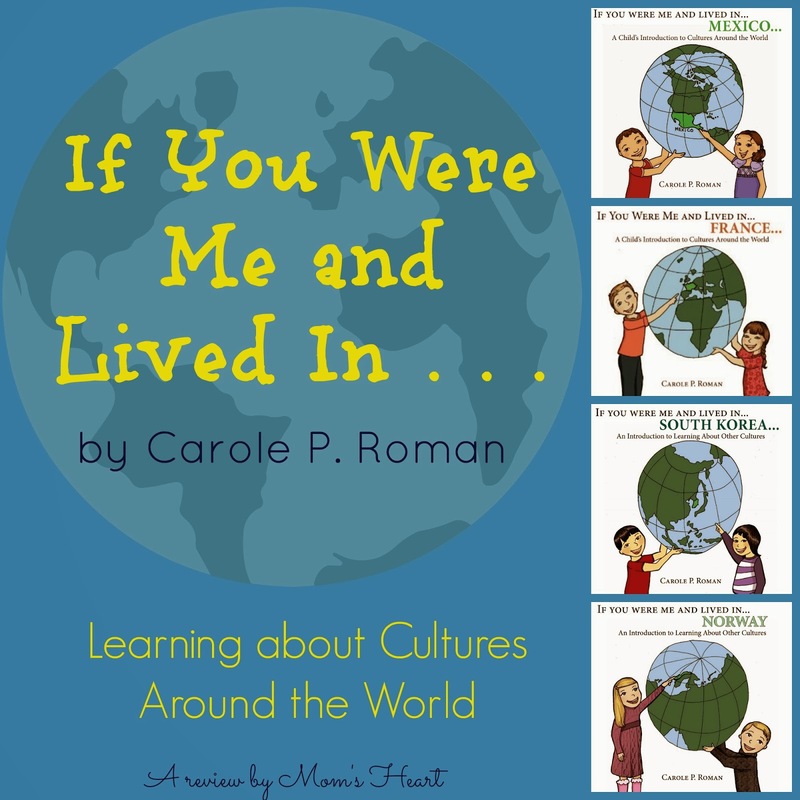 Carole P. Roman of Away We Go Media has written four books in the If You Were Me and Lived In series, which are written for children 4-8 years old. The books are described as "an exciting new children's series that focuses on learning and appreciating the many cultures that make up our small planet." All of the books are very informational, but not in a dull way. You will not find boring lists of facts and statistics in these books. Instead, they are written in the 2nd person, so the reader gets to feel like they are travelling the globe with a child their age. Each book is specific to its country, of course, but they all follow the same basic format and include the same overview, written in an engaging way. For example, things like location on the globe, the capital city, currency, sports, food, famous landmarks and so much more, are all woven right into the dialogue. These are all things that young children can relate to, so it helps them identify with the narrator. The books are perfect for their intended audience. My boys (4 and 6) loved all four of the books. In fact, they wanted to read all of them in one sitting once we started. They particularly loved hearing the children's names that are considered common in other countries, and the translations for Mom and Dad. My oldest also wants to travel to Norway now and stay in the hotel made of snow and ice! The boys are already asking for the next book, and were bummed that there aren't more available yet! These books are charming! I personally appreciated that each book had a pronunciation guide in the back, so I could check the foreign words and not stumble through the reading! I believe these are fantastic living geography and culture books, and I would definitely recommend them. 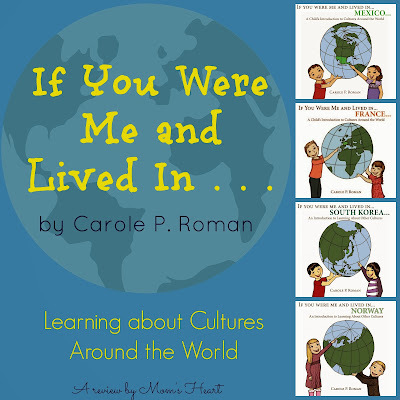 They are great for a unit study, and when we do our Around the World unit, I plan to incorporate these, because we will definitely love reading them again. You can purchase the books in paperback ($8.99 on Amazon, except Norway which is $10.79) or on Kindle for only $0.99 ($1.99 for Norway) which is a fantastic price for these books! I loved the books, and will buy future books in the series too. Be sure to check out more Carole P. Roman book reviews book reviews from the crew! So excited about Kenya! Thank you for your kind comments. We absolutely love this series, and are looking forward to more countries!